BART Officers Tony Pirone and Marysol Domenici were the first officers to arrive at the scene. The officers removed Grant and several other men suspected of fighting from the train and detained them on the platform. Pirone handcuffed Grant’s friend, angering other riders. Officer Pirone directed Officer Johannes Mehserle to arrest two of the individuals who had not been handcuffed. One of the individuals to be arrested was Oscar Grant and Officer Pirone’s direction to Mehserle was overhead by Grant. Grant, upon hearing that he was under arrest, attempted to stand up, but was forced to the ground face first. Both Officer Mehserle and Officer Pirone attempted to restrain Grant and seek his compliance by ordering him to put his hands behind his back to be handcuffed but Mehserle was unable to remove Grant’s arm from under his body. Mehserle then drew his pistol and shot Grant once in the back, later claiming he intended to use a taser that was recently issued. Grant was unarmed and was pronounced dead the next morning at Highland Hospital in Oakland. The events were captured on multiple digital and cell phone cameras, and this footage was disseminated to media outlets and to various websites, where it was watched millions of times. Mehserle’s state criminal trial began on June 14, 2010, after Mehserle posted a $3 million bail. On July 8, 2010, the jury found Mehserle guilty of involuntary manslaughter, and not guilty of both the second-degree and voluntary manslaughter charges. The jury also found Mehserle guilty of a gun enhancement charge that could have added up to ten years to his prison sentence, made him ineligible for probation, and would force him to serve 85% of his sentence as opposed to the 50% that most state prisoners served. On November 5, 2010, Mehserle was sentenced to two years with double credit for time already served post-verdict (due to California jail/prison overcrowding, one day in custody counts as two for most inmates), reducing his term by 292 days for the 149 he had already spent in jail. The judge overturned the enhancement and Mehserle was eventually released from jail on June 13, 2011. On May 9, 2012, Mehserle appealed his conviction to the First District Court of Appeals in San Francisco. The purpose of the appeal was to allow Mehserle to return to “police work,” which was not possible with the conviction on his record. In September 2012, the California Supreme Court unanimously denied review of an appellate ruling upholding the conviction. Grant’s family filed a $25 million federal wrongful death claim against BART in 2009, later increasing the amount sought to $50 million. On May 9, 2011, the family’s motion for summary judgment was granted in part and denied in part. BART eventually settled with Grant’s daughter for $1.5 million, followed by a $1.3 million settlement for Grant’s mother. Grant’s father, who had been in prison since before Grant was born, sued Mehserle for Grant’s death. On July 1, 2014, however, a civil jury rejected the claims of Grant’s father against Mehserle in the shooting of Grant. Grant’s friends also sued BART, in February of 2009, alleging that they were detained without cause for five hours after the shooting and claimed illegal search and seizure, false arrest, and excessive force. The friends settled with BART for a $175,000 payout in 2014. Grant v. Bay Area Rapid Transit District, Docket No. 3:09-cv-04014 (N.D. Cal. Aug. 28, 2009). BART has since spent $779,000 on additional training of its police officers, including training in taser use, riot control, talking to youths, and avoiding racial profiling. BART spent another $96,842 on additional equipment, including new taser holsters that make it harder for the weapons to be confused with a pistol. The transit system also paid $282,500 to the Meyers Nave law firm for an outside probe of BART police officers’ conduct on the night of the shooting, and an additional $134,588 to consultants to review the BART police culture and procedures. Lastly, BART spent $86,000 to set up a police department auditor and civilian oversight panel — including $40,700 to remodel a portion of BART headquarters to provide working space for the new positions. Bay Area News Group, Oscar Grant Case: Civil Jury Rules in Favor of Johannes Mehserle, Denies Award to Slain Man’s Father, East Bay Times (July 1, 2014), http://www.eastbaytimes.com/2014/07/01/oscar-grant-case-civil-jury-rules-in-favor-of-johannes-mehserle-denies-award-to-slain-mans-father/. Dan Brekke, BART Cop Johannes Mehserle Recalls Details of Oscar Grant Shooting, KQED News (June 13, 2014), https://ww2.kqed.org/news/2014/06/11/bart-cop-johannes-mehserle-to-testify-in-oscar-grant-lawsuit/. CBS, BART Reaches $1.3 Million Settlement with Oscar Grant’s Mother (June 28, 2011), http://sanfrancisco.cbslocal.com/2011/06/28/bart-reaches-1-3-million-settlement-with-oscar-grant’s-mother/. Denis Cuff, BART Spend $6 Million in Response to Grant Shooting and Aftermath, The Mercury News (August 25, 2010), http://www.mercurynews.com/2010/08/25/bart-spent-6-million-in-response-to-grant-shooting-and-aftermath/. Jessie Daniels, Racism & the Murder of Oscar Grant III, Racism Review (Jan. 7, 2009), http://www.racismreview.com/blog/2009/01/07/racism-the-murder-of-oscar-grant-iii/. The Guardian, Fruitvale Station Trial Ends as BART Settles with Oscar Grant’s Friends (May 21, 2014), http://sanfrancisco.cbslocal.com/2011/06/28/bart-reaches-1-3-million-settlement-with-oscar-grant’s-mother/. 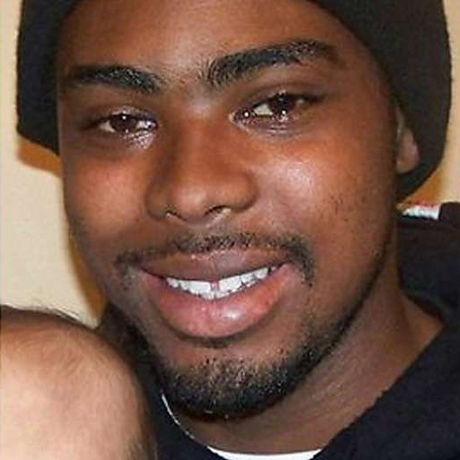 Tom Head, The Shooting Death of Oscar Grant: What You Need to Know, ThoughtCo. (Feb. 27, 2016), https://www.thoughtco.com/shooting-death-of-oscar-grant-721526. Mamalka Kambon, Centuries of Rage: The Murder of Oscar Grant III, San Francisco Bayview (Feb, 25, 2015), http://sfbayview.com/2015/02/centuries-of-rage-the-murder-of-oscar-grant-iii/. Jack Leonard, Abby Sewell & Maria L. La Ganga, Former BART Officer Johannes Mehserle Gets 2 Years in Oscar Grant Killing, Los Angeles Times (Nov. 6, 2010), http://articles.latimes.com/2010/nov/06/local/la-me-bart-cop-sentence-20101106. Los Angeles Times, Court Releases Dramatic Video of BART Shooting (June 24, 2010), https://www.youtube.com/watch?v=Q2LDw5l_yMI. Michael McLaughlin, Ex-Transit Officer who Killed Oscar Grant, Unarmed Black Man, Wins Lawsuit, The Huffington Post (July 1, 2014), http://www.huffingtonpost.com/2014/07/01/oscar-grant-lawsuit-bart-officer_n_5548719.html.